Ian Trantum - he'd like to sing Gentle On My Mind no doubt! Who are you? 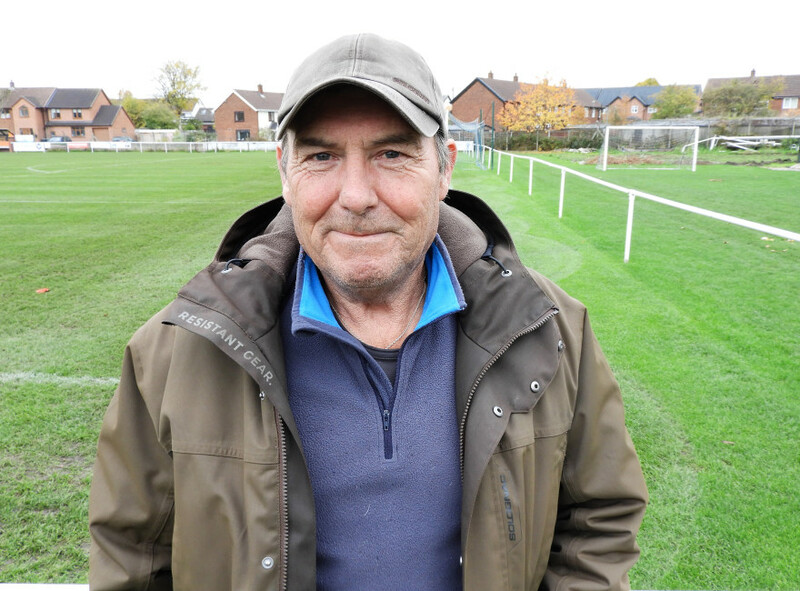 Ian Trantum, groundsman at Culcheth Sports Club. Family status? Married with one son. Who's your hero and why? Jonathan Thirsten; I love Rugby League. What would you change about yourself? Go back and do better in school. What's your guilty pleasure? A good meat and potato pie. What's been the highlight of your career so far? 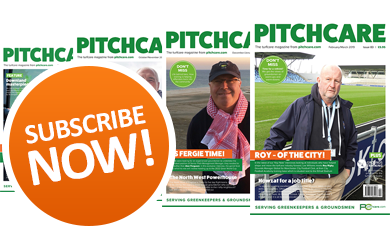 Being nominated for groundsman of the year. What are your pet peeves? People mithering me. If you could go anywhere right now, where would it be? Bora Bora, Mexico. What's the best part of your job? Working outside. 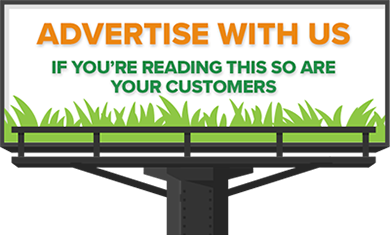 Do you have a lifetime ambition? To live a long healthy life. Favourite record, and why? Anything Northern Soul. Who would you choose to spend a romantic evening with? The wife. If you won the lottery, what is the first thing you would do? Look after friends and family. If you were to describe yourself as a musical instrument, what would you be and why? Saxaphone - chilled and mellow. Which three people, living or dead, would you invite to a dinner party? Steven Fry, Jonathan Thirsten and Dean Martin. If you could be anyone for a day, who would it be and why? Dean Martin. Do you have any bad habits? Smoking. ... or any good ones? I like to help people as much as I can. Do you go to bed worrying about the next day's workload? Sometimes. What are you reading at the moment? - Hard copy or online? 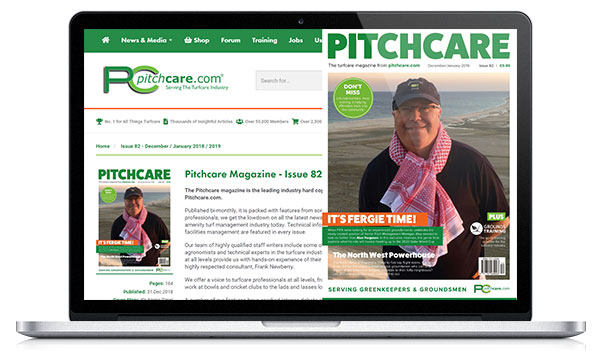 Pitchcare Magazine. What's the best advice you have ever been given? Listen and learn. What's your favourite smell? Fresh cut grass. What do you do in your spare time? Walk the dog, read and watch TV. What's your favourite piece of kit? SISIS Quadraplay. What three words would you use to describe yourself? Understanding, helpful and a bit moody. What talent would you like to have? To be able to sing.